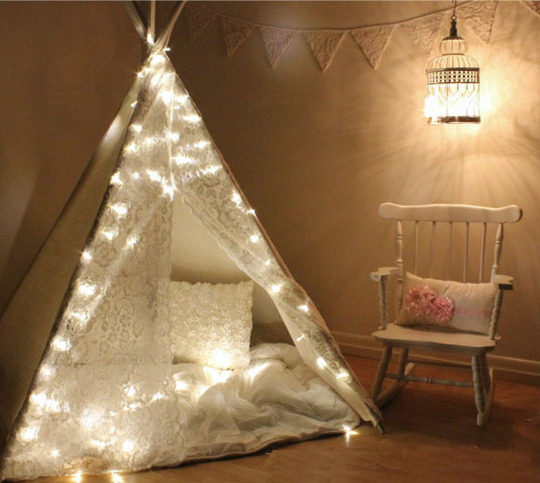 This gorgeous Twinkle Tent from Banana J Creations is so beyond inviting it takes my breath away. The simple addition of a string of LED lights makes it ethereal and heavenly, and I can't imagine a sweeter locale for Miss O to dive into one of the many chapter books we've been collecting to read together over the course of the summer. I want to nestle in this tee pee play tent when we embark on Wonder!